Studio9000DVR-IRIG (2U/3U/4U or 5U rack mount version) and TransPAC-6300 VS (rugged portable) are High Speed video acquisition systems with optional IRIG-B or GPS Time-stamp, and live or real-time video capture or image acquisition and recording to system disk. The systems Blazing performance allows Uncompressed (or compressed) Real-Time video capture and recording System with optional precision IRIG-B time stamping features on each video frame. 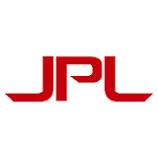 Standard full resolution, Analog composite or digital video acquisition in color NTSC/PAL (640 x480), SECAM, RGB YCrCB 4:2:2 or in monochrome format (768 x576) CCIR (625 lines) & EIA (525 lines), DVI, VGA, x-ray, , 3G HD-SDI 1920 x 1080 @ 60fps are supported. Optional RS422, LVDS, CameraLINK, Firewire 1394a, GiGE or USB and SDI are supported. Capture and stream video direct to system hard disk at 30fps up to 1000fps. Video resolution up to 1280 x 1024 or 2K x 2K at very high acquisition speed. Processes bitmaps in all popular color formats such as RGB, YUV 4:2:2, planar or packed. Compact Rugged, Field or travel portable Mil COTS format. Studio9000DVR-IRIG or Portable TransPAC-6300™ VS are specially configured, for High Speed Scientific Imaging and analysis is integrated with accurate industrial Frame Grabber video capture, and DVR (Digital Video Recorder) technology to provide real-time interactive Uncompressed (or compressed) real-time video recording to system memory or hard disk. Optional IRIG-B time stamping option can also be incorporated for frame-by-frame IRIG B Time synchronization and stamping. SOME FEATURES DESCRIBED MAY NOT BE AVAILABLE IN LOWER BASE SYSTEM. Please Confirm with company Rep for specific configuration availability and pricing. mute and solo of video and audio tracks, multiple timeline support and more. Captured clips and other media are easily organized into one or more customizable galleries. 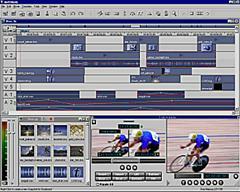 Media can be played, sorted, searched and managed right within the galleries, while mouse controls, user-definable hotkeys, and an optional jog/shuttle controller let you pick your favorite style of editing. TransPAC-6300™ DVR two or four-camera editing mode makes editing a sequences using multiple camera angles easy and intuitive. Sequences from two cameras can be “sliced and diced” interactively as you view your sources in real-time, directly from the timeline – no special plug-ins required! Sequences can even be switched while playing at faster than real-time, enabling multi-cam edits to be performed in a fraction of the time of the actual sequence. Multi-camera edits can be refined before applying them back to the timeline with cuts or transitions. Editing a multi-camera shoot has never been easier or faster! TIF. Animation sequences can be rendered directly to the VTFS, then easily accessed for playback and editing. Capturing footage is accurate and flexible, with methods ranging from quick capture to frame-accurate batch capture. incoming and captured video. Batch recapture allows footage to be captured at offline compression rates, and later replaced with higher quality footage for output. reverse, color correction, “garbage mattes” and keying can be combined simultaneously with transitions and rolling and crawling titles, providing maximum creative flexibility. With the V3DX 3D DVE module, 3D effects such as rotation, perspective and warp can be applied to graphics as well as video, and played back simultaneously with wipes and other effects in real time. 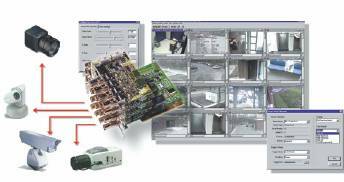 The SDI- digital I/O option adds digital audio and SDI video I/O to the DVR. 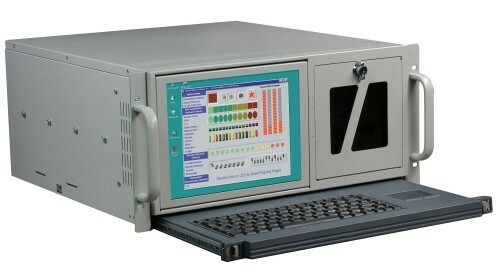 The SDI interface provides one SDI input and two SDI outputs (SMPTE 259M, 270Mb/s). Embedded AES audio conforming to SMPTE-272M is supported on the SDI input. Audio may be synchronous or asynchronous with respect to both the SDI video, and system audio sample clock. For audio I/O, balanced AES/EBU (EIAJ CP-340, XLR), unbalanced AES/EBU (SMPTE-267M, BNC) and S/PDIF (RCA, unbalanced) are provided. The Studio9000DVR / TransPAC-6300 VS DVR IRIG-B digital video recording version will support the acquisition of full resolution images (640 x 480 or 768 x 576). Individual frames as well as video sequences are captured directly to the systems memory or storage hard disk drives. Acquisition of full frame (two fields) or single field images is selectable. Various image formats are supported because of its high-quality hardware scaler. Arbitrary cropping to a region of interest is built-in. The system can generate bitmaps in all popular color formats such as RGB, YUV, planar or packed. Post Production provides solutions for editing, animation, compositing, special effects, real-time web video streaming (including live web broadcasting) and DVD content creation. Perfect system economically geared for scientific applications, image acquisitions and analysis. Material: Rugged Heavy-duty aluminum alloy. Anodized per MIL-8625D. Inside: -plated with chromate for EMI/RFI shielding. Hard Drive : 3 x 250 GB of storage min. External RAID interface support for unlimited video storage. Admax CG pro, TransPAC-6300, TransPAC-6300 VS, TransPAC-6300 Video Editor Studio9000 DVR -IRIG are trademarks of Cepoint Networks, LLC. All other trademarks are properties of their respective owners. ©2003-2007 Cepoint Networks, LLC. All rights reserved.